Our series of organs featured as a result of the 2016 IAO Festival concludes with this mighty "Father" Willis. 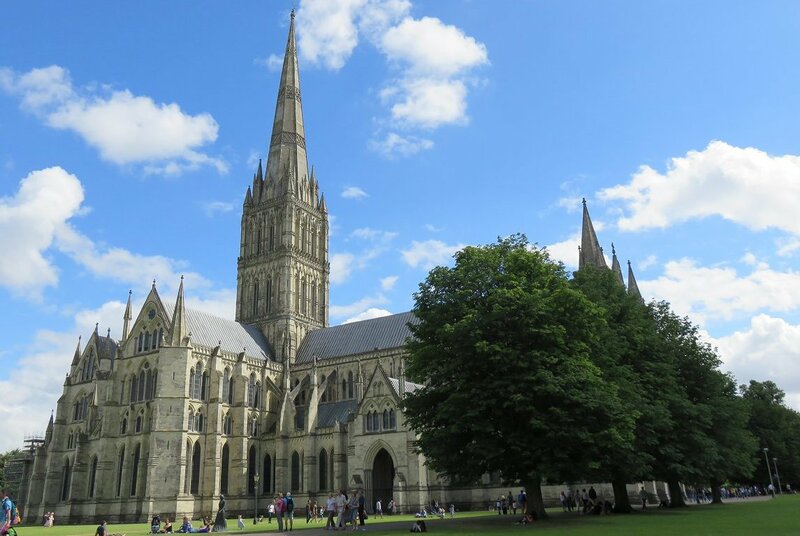 Willis himself is said to have confided to Sir Walter Alcock (organist here from 1916 to 1947) that he regarded the Salisbury organ as his finest, and during the 1934 restoration Alcock famously refused to allow parts of the instrument to leave the cathedral in case unauthorised alterations were made without his knowledge. In fact no attempt has been made to "improve" or enlarge the organ during any of the various rebuilds, so it sounds today very much as when first heard in 1877. The organ is divided in two cases on either side of the Quire: the Swell and Choir divisions are on the south side, the Great and Solo on the north. There are Pedal stops on both sides, and the two 32ft stops are located in the North Transept. 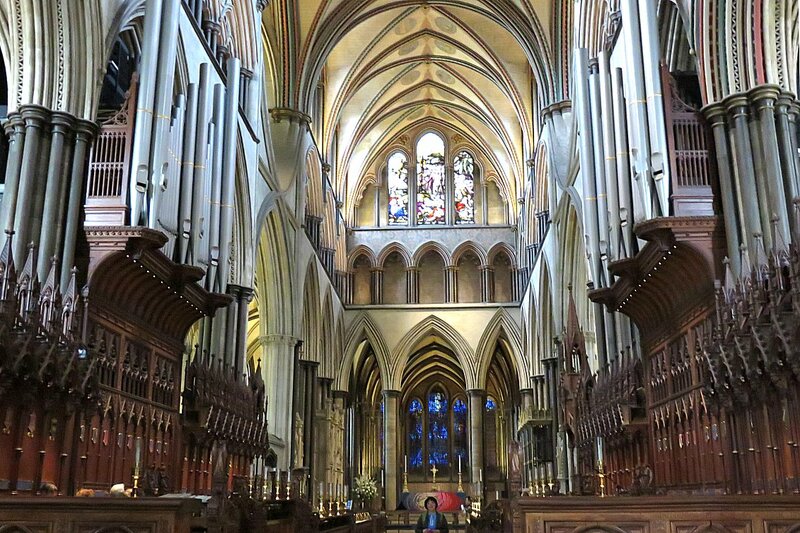 The cathedral's Assistant Organist, John Challenger, provided IAO Festival goers with a wonderfully varied recital of music from Couperin to Alain that also included Bach, Buxtehude & Darke and concluded with the A minor Choral of Franck. This provided ample evidence of the instrument's versatility and tonal qualities. 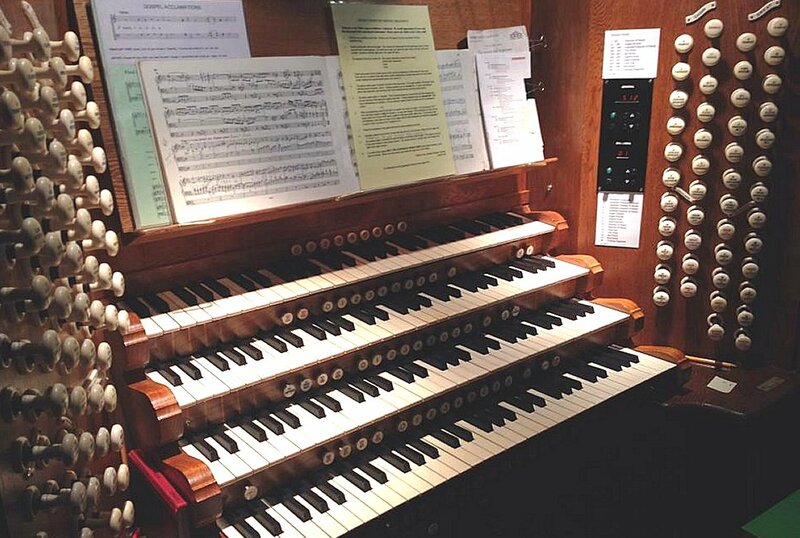 You can listen to a recording of this organ as April 17's Music of the Month.